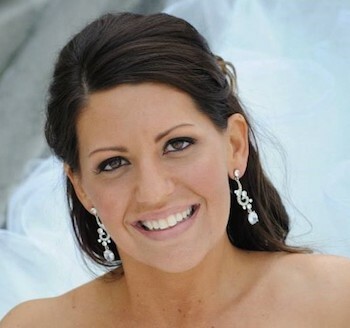 Indianapolis native Megan Godsey graduated from the University of Indianapolis in 2007 with a bachelor’s degree in business. She’s been working as an admissions counselor since September 2016 and has been promoted to Assistant Director of Admissions, effective July 1, 2018. She says it “feels really good to be back representing my alma mater.” In addition to facilitating campus visits in her current role, she also travels across Indiana, Ohio and Kentucky to recruit high school students. During the busy season, which runs September – November, she meets with up to 20 families each week. 1. What’s your favorite thing about your job? Being part of [students’] journey. It’s exciting to see their educational/professional dreams come full circle and become their reality. Knowing I had a small part in that makes every bit worth while. 2. What’s your favorite thing about UIndy overall? How close-knit the campus community is. All of the staff and faculty are extremely nice and welcoming; especially President Rob. He is down to earth, personable and an all-around nice guy. I married my high school sweetheart and we have two kiddos: Harper, 4, and Hank, 2. I enjoy spending time with my family. We love going to sporting events, particularly to Indians games. Both kids are in the Knot Hole Club. We also have memberships to the Children’s Museum and the Zoo. We also enjoy going to Cincinnati. My husband and I are big Reds fans, so we attend as many games as possible. We also like going into Newport, KY to the aquarium or to the Hofbrauhaus House. 4. What’s something people might be surprised to know about you? ​I made it through the first round of auditions for P. Diddy’s Making the Band 3. 5. If someone made a movie about your life, which actor would you pick to portray yourself and why? ​I’ve always been a huge fan of Julia Roberts. She is a timeless actress who is highly respected in the industry.